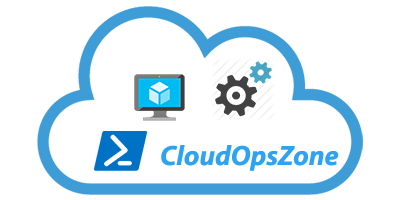 In this quick post, we will see how to solve a problem that was reproduced in an Azure VM with SQL Server. The main point is that the problem began after we tried to change collation on the SQL Server. 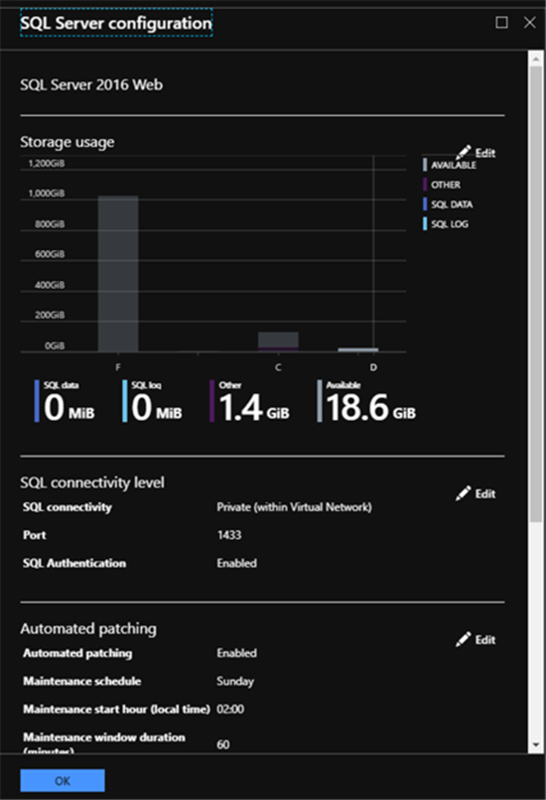 While we change collation in a SQL Server on an Azure VM, probably we will see a problem like the next screenshot shows. Also, except for the previous error maybe we notice a problem in the SSMS while try to log in. 2019-01-28 14:06:21.00 Logon Error: 18470, Severity: 14, State: 1. 2019-01-28 14:06:26.27 Logon Error: 18470, Severity: 14, State: 1. 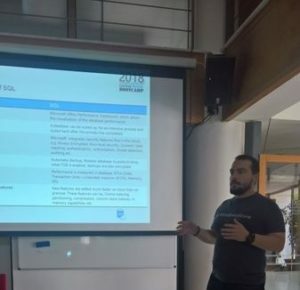 As we earlier said, we cannot connect to the SQL Server instance, neither the windows user or the SQL user. To solve the problem we must first login via the SSMS. 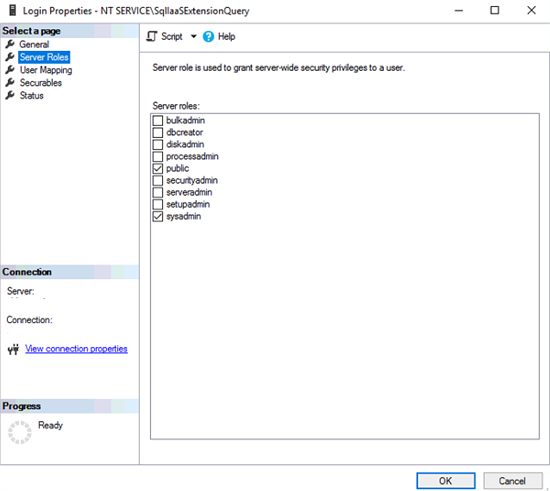 Type the following command to set the SQL Server instance in user mode. 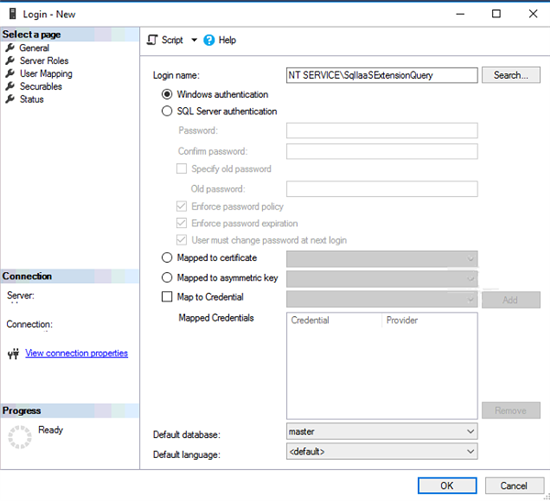 After login via SSMS with the windows user, we create in step 1, we are ready to add the SQL Logins for all the necessary services. 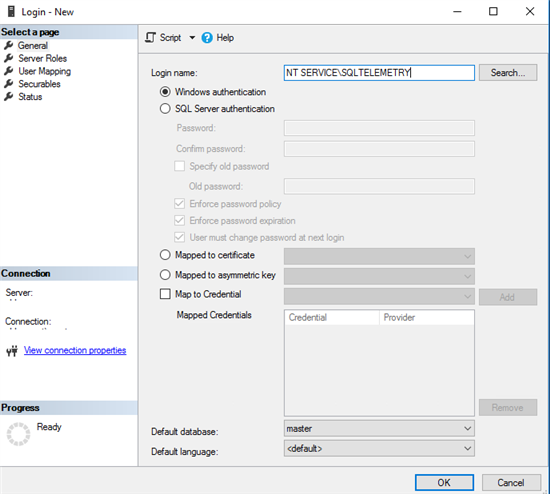 From the Security – Logins – select right-click [New Login…], search for the user NT SERVICE\SQLTELEMETRY and select it. 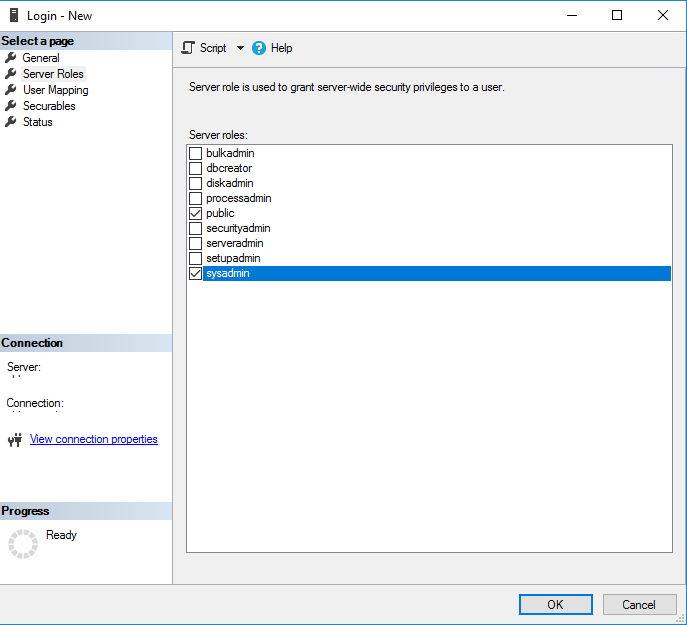 From the Server Roles menu, select sysadmin and click OK.
From the Security – Logins – select right-click [New Login…], search for the user NT SERVICE\SqlIaaSExtensionQuery and select it. After the previous steps we should have the following logins in the SSMS Logins folder. 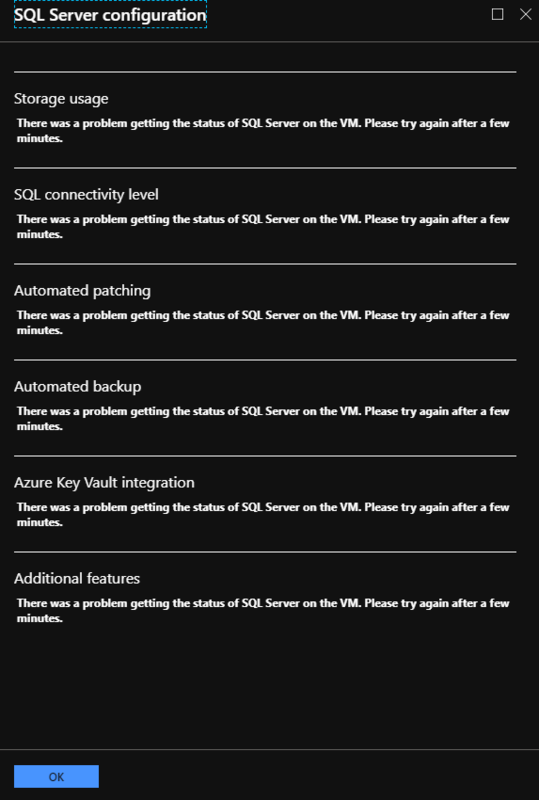 To confirm that the problem is solved, from the Azure Portal main blade select Settings – SQL Server Configuration. As the image below shows the problem is solved.